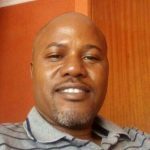 Under President John Magufuli’s three-year leadership, democracy has no place in Tanzania’s politics. He does not believe in debates. He never tolerates criticism. He even does not respect his own policies when they contradict his own feelings. He solely trusts, and relies on, his impulses; and he uses police and army to implement his wishes. His best allies in leadership are not the best analytical brains around him but his hand-picked surrogates, many of whom are increasingly becoming formidable demagogues. 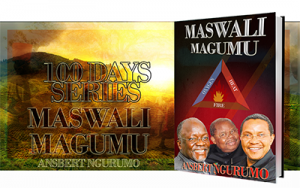 Behaving like an omnipotent and imperial president, Magufuli is instilling fear into everybody. On several occasions, he has reprimanded his vice president and prime minister in public. His has spread his dictatorial tentacles to parliament and judiciary, attempting to erode a little independence there is in those two pillars of state. As a result, using the majority of his ruling party’s legislators, the parliament has become the president’s rubber stamp on many issues of national interests. He has turned his country’s once vibrant media into a cheer-leading propaganda machinery. In the past three years, the civic space has been fast shrinking but for himself. Employing police and “unknown people” to carry out abductions, arbitrary arrests and prosecutions, shootings and killings, he has intimidated the opposition, civil societies, academicians, businessmen, and even vocal religious leaders. At a time when he thought almost everybody and every institution in the country had submissively cowed in fear of his iron fist, expecting no challenge at all, international pressure surprised him. 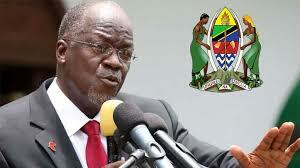 Through his authoritarian, strong-man, and brutal politics, Magufuli has brought upon himself and his country and unnecessary international embarrassment that should have been avoided had he listened to opposing voices. Surprisingly, he is blaming the opposition for the mess he has put himself in. How long are we going to continue suffering under this government ? A single man can not terrorize the whole country unless we are all complict.The majority of us have been complict directly or in directly .knowingly or unknowingly .we as the citizens of this country have bin complicit in many ways .Again and again we have allowed our oppressors to detect our future ,we have chosen to be passive, remain silent,we have chosen to ignore facts and in many occasions despise those who have sacrificed and continue to sacrifice for this country. The struggle for freedom is now or ever. We can not wait another minute.Now more than ever the future of our country depends on what we are going to do as a ‘people’. We must learn from our mistakes and other people’s mistakes as well.History should be our best teacher. We must honor and support those who have sacrificed and continue to sacrifice for this country. Now is the time to face the enemy.Now is the the time to stone the devil .Long live lissu. Long live zito. makaveli 17th November 2018 at 8:55 pmHow long are we going to continue suffering under this government ? A single man can not terrorize the whole country unless we are all complict.The majority of us have been complict directly or in directly .knowingly or unknowingly .we as the citizens of this country have bin complicit in many ways .Again and again we have allowed our oppressors to detect our future ,we have chosen to be passive, remain silent,we have chosen to ignore facts and in many occasions despise those who have sacrificed and continue to sacrifice for this country. The struggle for freedom is now or ever. We can not wait another minute.Now more than ever the future of our country depends on what we are going to do as a 'people'. We must learn from our mistakes and other people's mistakes as well.History should be our best teacher. We must honor and support those who have sacrificed and continue to sacrifice for this country. Now is the time to face the enemy.Now is the the time to stone the devil .Long live lissu. Long live zito.